Don't buy tools... WIN them! 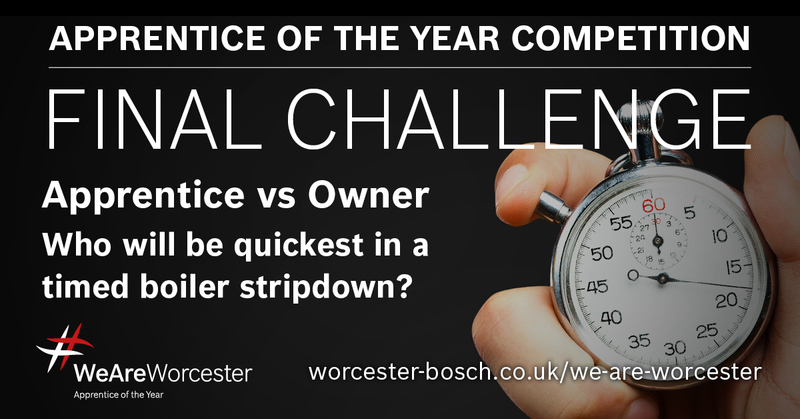 Enter our Apprentice of the Year and WIN Bosch Professional power tools. At Worcester, we want to guide you on your journey as an apprentice and what makes you different. By entering our #WeAreWorcester competition you will have the opportunity to win everything you need to begin your career in the industry. Every month for the next 10 months we will be setting you a challenge. Complete each challenge and you could be in with the chance of winning a toolbox full of the very best Bosch tools and equipment. Select a challenge to find out more. Please note that you can only enter for the challenge that is currently open. 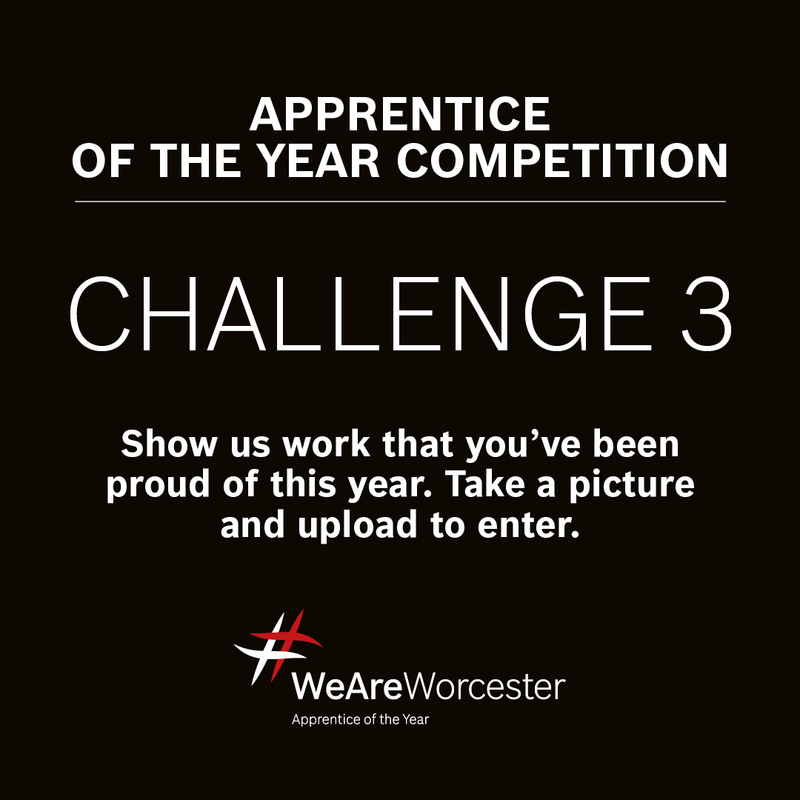 Grab your mentor.......grab a camera, tell us why you should be Worcester's apprentice of the year. Using only plastic or copper pipes, show us your creative side and craft something unique using your tools, skills and know how. Take a picture and upload to enter. Show us work that you've been proud of this year. Take a picture and upload to enter. Complete three of our e-learning modules and upload screenshots of the completed modules by clicking accept the challenge below. 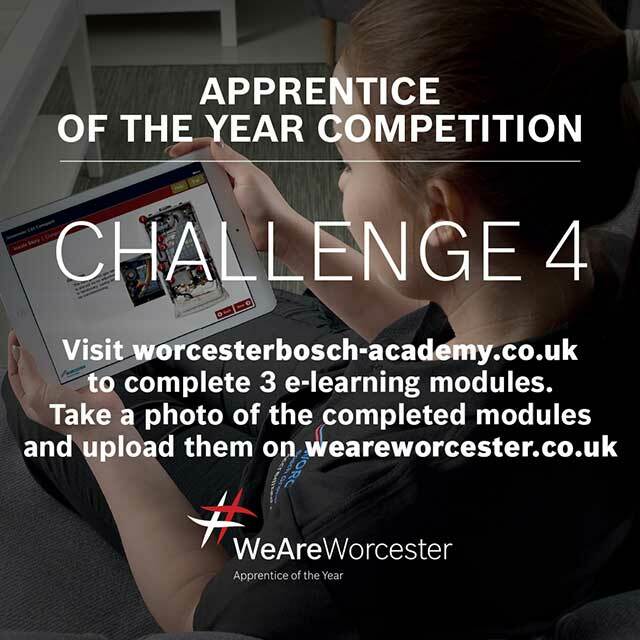 Please visit Worcester Bosch Academy to complete your modules. Show us a piece of work you are proud of so far this year. Take a picture and upload to enter! From rainbow flicks to scorpion kicks, we want to see the most impressive ways you can get a football or rugby ball into an empty boiler box! Not long to go until the Apprentice of the Year is crowned so we are looking for the most creative clips. Upload your clip to enter! Who will be the quickest in a timed boiler stripdown? To upload your photo or video select the file below and wait for the upload to complete. Keep up to date with all the latest challenges and news by connecting with us via our social media channels.